​We are redesigning ATS and would love your input! We are looking to target youth and adults alike in this ministry. ​We plan to hold this event here again at CLC. ​If you'd like to give input or help in this ministry, please let us know! What is Across the Spectrum? Across the Spectrum, a relatively new initiative at Christ Lutheran Church, is a worship and fellowship experience intended to offer access points for people of all ability levels. This is a sensory experience that offers a variety of opportunities to connect with God through song, video, arts and crafts, conversation, and soft activities. With a number of congregants who live on the Autism Spectrum or with intellectual disabilities, we believe God has been preparing our congregation to help provide this kind of event for the New River Valley. 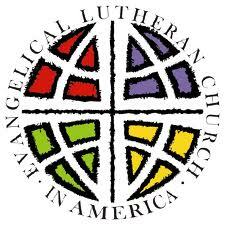 Christ Lutheran Church originally gave birth to this ministry in February of 2015. Since then, two other churches have joined as sponsors of Across the Spectrum. St. Michael Lutheran (Blacksburg) partners in offering another NRV location and contributes funds to the events. Through the use of their van, Central United Methodist (Radford) helps to provide transportation for many participants who would otherwise not be able to participate in Across the Spectrum. We're thankful for this growing partnership! If you would like to get involved with ATS, whether in attendance or support, send us a message. Join us! See the flyer below for more information.